We are surrounded by things that have been designed—from the utensils we eat with, to the vehicles that transport us, to the machines we interact with. We use and experience designed artifacts everyday. Yet most people think of designers as only having applied the surface treatment to a thing conceived by someone else. Eli Blevis created an illustration to emphasize the gulf between the general public’s notion of design and designer’s views of design (Blevis et al., 2006) (see Figure 19.1). 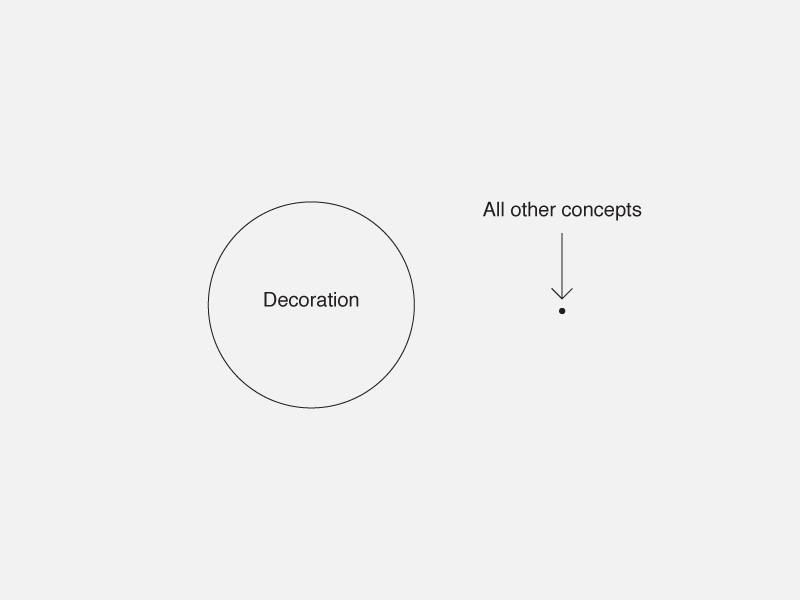 Figure 19.1 – A caricature of the popular conception of design vs. all other concepts. Ultimately, everything that has not come from nature has been designed—it just may not have been consciously designed. As early as 1938, Moholy-Nagy described design as more than just facade making. He suggested that design was “a complex and intricate task … and the integration of technological, social and economic requirements, biological necessities, and the psychophysical effects of materials, shape, color, volume, and space’’ (Moholy-Nagy, 1938). 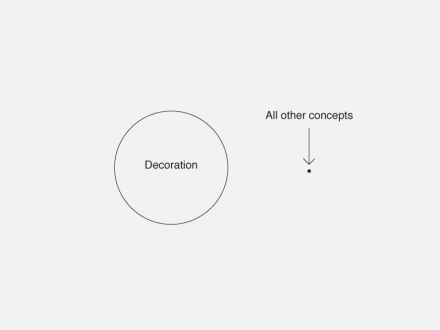 Most design definitions also include planning as a critical element. Janet Murray, author of Hamlet on the Holodeck, describes the designer’s role as making ‘‘something new that fits in with what already exists or changes it in a positive way.’’ This description of design is consistent with Herbert Simon’s seminal work in which he says, ‘‘Everyone designs who devises courses of action aimed at changing existing situations into preferred ones’’ (Simon, 1996). Marty Neumeier simplifies further by suggesting that ‘‘design is change’’ (Neumeier, 2009). Of course, change (or the process of change) can be changed. That is, change can be designed; thus, design can be designed. There are many definitions of service in the literature. On one hand, services are viewed as performances: choreographed interactions manufactured at the point of delivery that form a process and coproduce value, utility, satisfaction, and delight in response to human needs (Zeithaml and Bitner, 1996; Evenson, 2005; Engine, 2006). On the other hand, activities or events in a service process are described as forming a perceivable set or ‘‘product’’ through interaction with designed elements or resources from representatives of the service organization, the customer, and any mediating technology. For purposes of this discussion, we put forth the definition described by Jean Gadrey and based on Peter Hill’s 1977 work (Gadrey, 2002): ‘‘a service may be defined as a change in the conditions of a person or a good belonging to some economic unit, which is brought about as the result of the activity of some other economic unit with the prior agreement of the former person or economic unit.’’ Gadrey goes on to explain that a service should first be considered a process, and illustrates service as a triangle that includes three primary elements: service provider, customer/client/user, and transformation of a reality (Figure 19.2). Are services in support of ‘‘changes in the conditions of a person’’ similar to changing existing situations into preferred ones? Are services change? 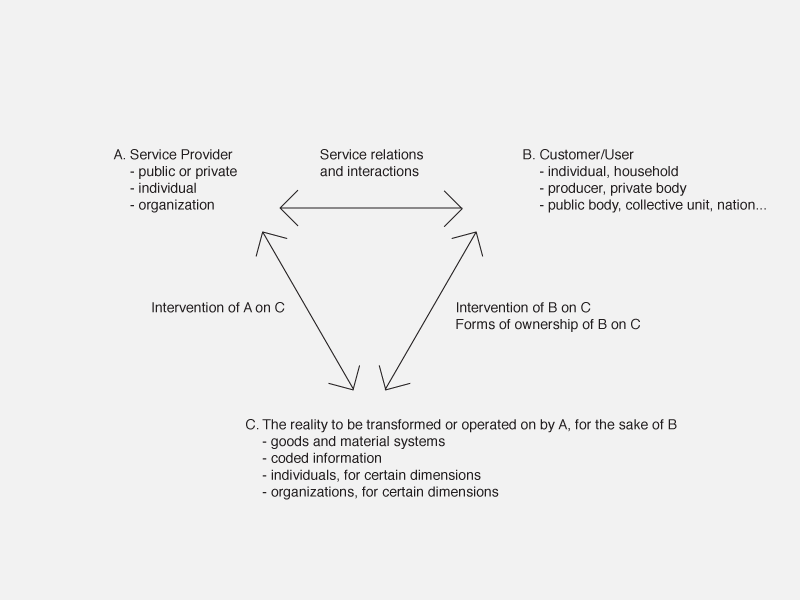 Are people participating in the service designing as they cocreate the service? The concepts Gadrey presents with respect to service relations, interactions, operation, and activity are well suited for defining service as design. We view designing for service as a meta activity: conceiving and iteratively planning and constructing a service system or architecture to deliver resources that choreograph an experience that others design. When a company provides the optimal mix it will have produced a resonating service system and delivers an experience advantage (Evenson, 2005). Designing for service is a process that brings together skills, methods, and tools for intentionally creating and integrating (not accidentally discovering and falling into) systems for interaction with customers to create value for the customer, and, by differentiating providers, to create long-term relationships between providers and customers. Our lives are shaped by—and emerge from—the experiences we have. How we are greeted when we enter a store shapes the experience that we will have while in the store. When Apple introduced the iPhone, they consciously designed the journey that their new phone customers would have—from learning about the features they would use on the phone in advance of sale of the phone, to making the activation (once a torturous event with most cell providers) a self- service affair that could be done at home with ease. Smart companies work hard to provide the appropriate resources for customers to have experiences that they value. Pine and Gilmore (1999) suggest that we seek out experiences that fulfill our needs and satisfy our wants. Today (having satisfied many basic needs), people are looking for more (and more meaningful) experiences. Many people are willing to pay more for their coffee or their hotel stays if the brand reinforces their image of themselves. Consider the shift in just one generation’s experience. Many baby boomers grew up in small town America, purchasing through the Sears, Roebuck catalog. In that shopping experience, the catalog arrived and the customer poured over the pages to select just the right thing. The customer either called or mailed an order form back to Sears. Weeks later the purchase arrived and the customer was either pleased or not. If the customer was not pleased, there was a lot of work to be done to return the item and receive credit. Fast-forward to today: Nike offers customers the opportunity to design their own shoes (items that are notoriously hard to fit) online. Zappos also sells shoes online. From the get-go they understood the need for an experience that would exceed customer expectations (Taylor, 2008). They began by offering overnight delivery, which in part was made possible by the technical infrastructure they have in place. Customers report ordering shoes at 8 p.m. and having them arrive at 8 a.m. the following morning. Both examples contrast with the customer experience with Sears decades earlier. Customer expectations have changed dramatically, and if they want to be successful, organizations need to provide the resources for exceptional customer experience. Zappos and Nike are raising the standards for their competitors and for all online retailers. But not only have expectations changed for online retail, expectations are changing in health care. In a recent McKinsey survey of more than 2000 patients with commercial insurance, ‘‘75% would consider switching hospitals to become better informed about treatments or if appointments were kept on time. If forced to choose between information and timeliness, 3 times as many patients said they valued information more’’ (Grote et al., 2007). Because there is so much more information available generally, people’s expectations have been raised to want better information, tailored for them personally. People today also want experiences that support their values, whether it is their concern for the environment or their belief in natural foods. Perhaps this fulfillment behavior has gone too far (or at least lacks substance) when people with means can purchase ‘‘carbon offsets’’ to ease their guilt over behaviors that conflict with their personal value of not contributing to pollution. People are seeking meaningful experiences as part of a community as evidenced by the doubling in recent years of people who planned to volunteer on their vacations (Dalton, 2008). Great experiences are leading to a demand for even better experiences. As expectations for service experiences rise—are the people participating or cocreating those experiences becoming more skilled at leveraging the resources for their experience and designing their service? If so, then what are the implications for designing-for-service experiences? In designing-for-service experiences we must provide the opportunity for customers to have meaningful, compelling, and fulfilling experiences that address their needs and satisfy wants. We need to provide the resources for people to design, so that they can create their own experiences (Tempkin, 2008). Given the current cultural, social, and economic contexts, the resources need to meet or exceed people’s expectations, and encourage participation so that customers become advocates for the brand. (In a sense, they invest in the brand, taking ownership and cocreating the brand itself.) The technology is now in place as a key differentiator in service delivery. What happens at Zappos today simply was not possible just a few years ago. They have raised the table stakes for all other companies. Ganz and Meiren (2002) suggest a need for knowledge about social interaction activities. This is due to an intense awareness that service work is ‘‘people work,’’ and too little is known about the human aspect of both the provider and the client in service definition. The consideration of this human aspect is a key differentiator in the design of a service system. People-centered research can drive innovation. Designing for service, from our perspective, assumes the participants are the starting point or lens for this exploration. This is essential because the service designer is providing the ‘‘clay’’ (or perhaps the potter’s wheel and kiln) for participants to design for themselves. Through the use of creative, human-centered and participatory methods, we model how the service could be performed or provided. At the same time, service design identifies and integrates the means to provide a service with the desired qualities within the economic and strategic intent of an organization. Collaborators ‘‘visualize, express and choreograph what other people can’t see, envisage solutions that do not yet exist, observe and interpret needs and behaviors and transform them into possible service futures, and express and evaluate, in the language of experiences, the quality of design’’ (Service Design Network, 2005). 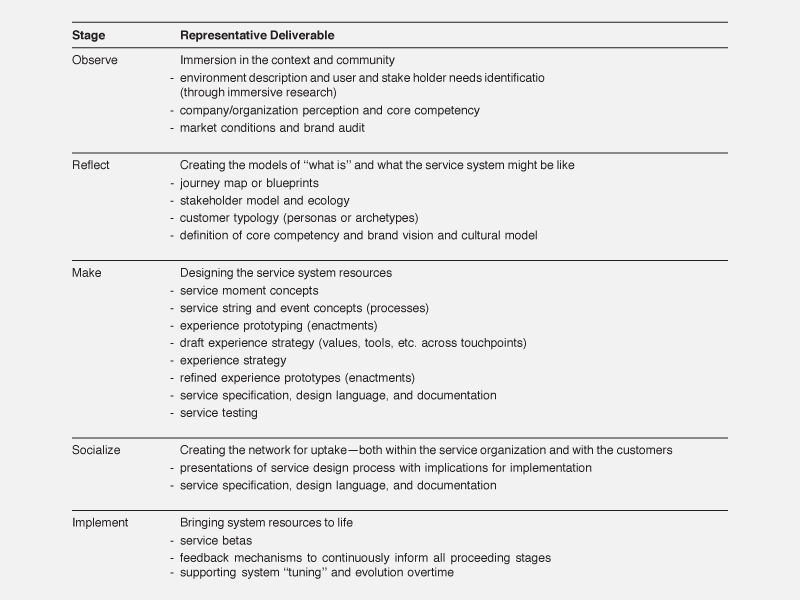 As a discipline, service design should not be viewed in isolation, but as complement to service development, management, operations, and marketing (Service Design Network, 2005; Mager, 2002; Edvardsson et al., 2000). 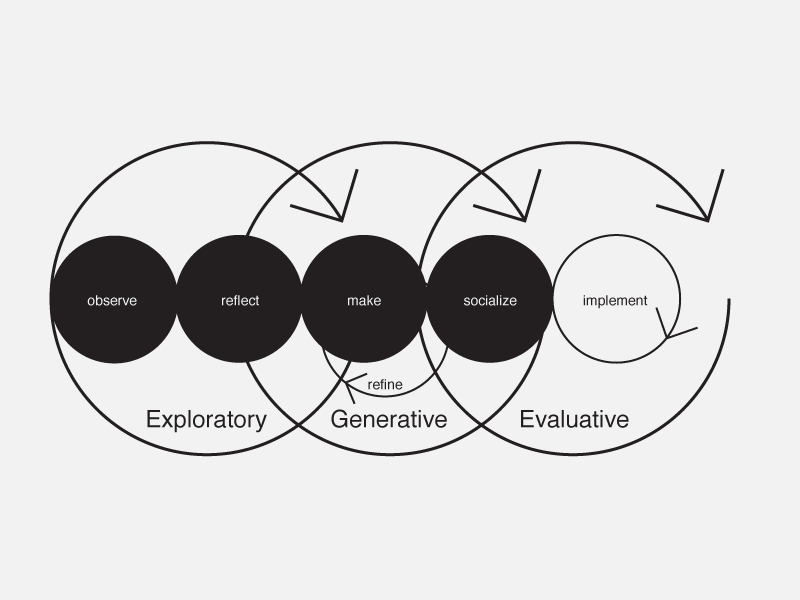 In our approach to designing for service innovation, we integrate these activities across a service development process that includes exploratory, generative, and evaluative research that spans the entire development process—from discovery to release The process differs from conventional approaches, such as those defined by Booz and Hamilton (1982), Bowers (1985), Khurana and Rosenthal (1997), and Zeithaml et al. (2006), where strategy is defined prior to investigation, creating an outline of the service that has to then be filled in. We argue that the right strategy cannot be known a priori. Instead of trying to define a service from the top down, we start with exploratory or immersive research to lead to opportunities for innovation in strategy. This, in turn, provides context (or the fill) from which the service can be created. The approach we have taken to service design is based on our experience in interaction design and approaches developed and published primarily in Europe (Erlhoff et al., 1997). At Carnegie Mellon University we have organized our approach within a conventional design process framework, leveraging exploratory, generative, and evaluative research methods along the way. Exploratory Research—Uncovering and Understanding Latent and Masked Needs. In exploratory research, techniques are used to define ‘‘what is’’ in the current situation or context. Methods used in exploratory research are typically drawn from ethnography and include shadowing, participant observation, and contextual inquiry. The goal of this type of research is to immerse the researcher–designer in the context of the inquiry and to provide a deep under- standing of not only the category of people under observation, but also their goals and needs. In a recent project at Carnegie Mellon, students were asked to improve service flow at the Transportation Security checkpoint at the local airport. Students first documented stories of their experiences at the Pittsburgh airport and other airport checkpoints. This directed storytelling exercise immersed them in the context of the experience even before going onsite. After just a few hours of observation, the students uncovered a latent need and documented it. They found that passengers and their friends and loved ones had no place to say goodbye. The service as designed for the critical security-checking goal provided resources for security officials and a few for passengers to participate in the process, but the physical space, in particular the area leading up to the security checkpoint, the communication products such as the signs and cue markers, and the service providers offered little support for another fundamental activity in the traveling process—people simply saying goodbye. 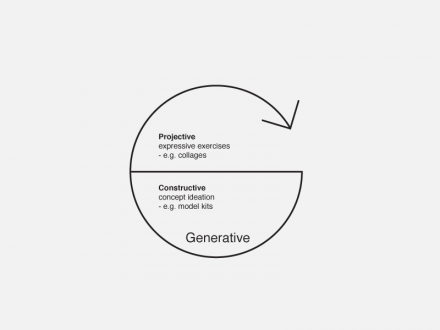 Generative Research—Determining What Is Meaningful. 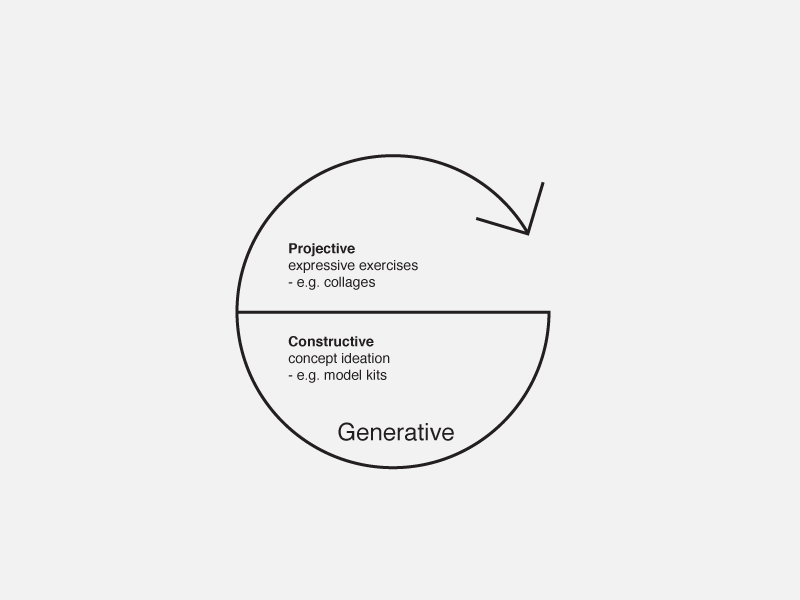 In generative research, the goal is to verify the framing of the ‘‘what is’’ and assumptions about how to respond to the needs identified with representatives of the service participants. Early on in generative research the activities are more projective and include exercises that help people express ideas, emotions, and desires around the service experience, The exercises are designed to help people express or explore what is usually hard for them to communicate—how they feel about the given service experience on an emotional level. Later activities are more constructive and are designed to validate specific reactions to service concepts, flows, and evidence. Figure 19.4 illustrates the projective and constructive faces of generative research (Hanington, 2007). The later activities are usually design collaborations between designers and participants in sessions that may include people, process, and artifacts that encourage creativity and conversations (Sanders, 2000). In these sessions designers and participants engage in the meta-design of the experience resources when they coproduce prototypes and enactments of the service experience. In a recent project with UPMC (the University of Pittsburgh Medical Center) students teams engaged in two very different activities to elicit patients’ emotional needs with regard to their health-care experiences. In the first case, students provided patients with a set of stimulus cards that had images of different environments in which the ambiance ranged from a baby sleeping in a room to a pianist playing in a concert hall. The participants were asked to select images that best represented the experience they would like and to explain why. Another team took a slightly different approach. They provided respondents with sets of four images of the same thing, such as four orange juicers or four magazine covers, and asked respondents to compare the images to what they wanted from the service setting and explain why one of the images was most appropriate and another was least. The resulting conversations from both of these participatory exercises helped the design team suggest appropriate resources (places, products, and people’s behavior) for the ultimate service users to design a health-care experience that would be right for them. Evaluative research helps validate whether the needs and expectations people bring to the service experience are actually met by the resources as designed. Ultimately, the goal is to determine if the resources provided for the experience are useful, usable, and desirable for the intended service users and providers (Sanders, 1992). Methods may be tightly controlled as in a lab experiment or loosely defined as an extension of generative activities (Hannington, 2007). The purpose is to evaluate the resources while they are still easy to change and before major investment is made in producing the service process, service products or evidence, or the setting for service delivery. An integrated service design and implementation process is key to the success of any service experience. We have found a multidisciplinary effort with a modeling-centric approach to be most effective for service design. The process is illustrated in Figure 19.5 in the context of the previously described people-centered research model. Though the process as shown is illustrated in a linear fashion in practice, it is fluid and iterative. Figure 19.5 – Integrated design process and people-centered research. The Five Major Stages in Designing for Service. There are many models of the design process, and many service design organizations opt for their own variations, while others prefer not to be confined to a single process. We have refined our process through practice, but admit that it is fluid and should change according to the design challenge (Evenson, 2005). The activities in the stages of our current process are described briefly in Table 19.1. Service designers must account for the complexity of service resources that must be accessible to the appropriate participants to design the service experience for themselves. 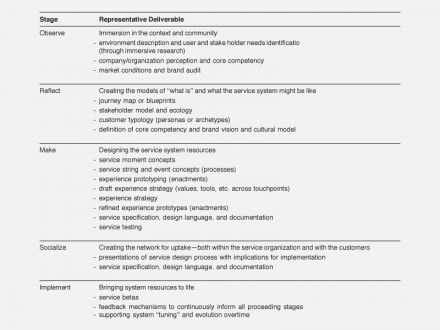 Methods that service designers use to address this complexity in particular are service ecologies, experience prototyping, and service blueprinting. Service ecologies are maps of the participants and entities affected by a service and the relationships between them. Ecologies or mappings of the research findings reveal new opportunities and inspire ideas, and they help to establish the overall service concept (livejwork, 2004). Experience prototyping brings the service experience to life. First designers, and then stakeholders in the experience, act out the service experience with specific roles and rough props. This is similar to Brenda Laurel’s design improvisation (Laurel, 2003). The goal is theater that enables the designers to better understand the contextual level of the design experience. This understanding is crucial because experience emerges from the activity of persons acting in a setting and is embedded in context and ongoing social practices. G. Lynn Shostack developed service blueprinting. She states, ‘‘a service blueprint allows a company to explore all the issues inherent in creating or managing a service.’’ She goes on to explain that there are four aspects to the blueprint. They are process identification, isolation of fail points, establishing the time frame, and analyzing profitability (Shostack, 1984). We have extended this approach to include opportunities for service innovations that are derived from immersive research. Just as spoken languages are the basis for our conversations with people, so design languages are the basis for conversations with services—they are building blocks of the service experience. People use spoken language to express themselves; services designers use service design languages to express the service, what it does, how it is to be used, and what experiences or journeys are made possible through it. Service design languages are used to visualize, express, and choreograph the resources that mediate the service experience. A design language consists of a system of elements (with associated meanings) through which designers signal purpose and users ‘‘read’’ intent (interacting with expectations), for example, ‘‘grip here’’ or ‘‘this is a button that can be pressed.’’ A design language also includes a set of organizing principles (the rules and conventions) for combining elements. Spoken languages consist of words and rules of grammar. Design languages consist of design elements that are combined into constructs, such as a touch point, and the principles for their combination. Spoken language supports the production of meaningful expressions by allowing people to combine well-known sets of words and rules of grammar to create previously unknown but usually comprehensible expressions. In addition, spoken language is generative and inherently open. Research into creating a service language, so it is similarly open, will be invaluable. When an effective service design language is deployed consistently, people who use or access services become fluent in their interactions with the service. Designers and developers are also articulate and skilled at the production of the resources for service delivery. Research into design languages is likely to influence service design in multiple ways. An exploration of service design languages will augment or change existing business process description or blueprinting methods that are used for describing the current state of service experiences. This work is a natural compliment to research into specification, choreography, improvisation, and, most importantly, implementation. Approaching service as designing will lead to new ways of thinking about service innovation. 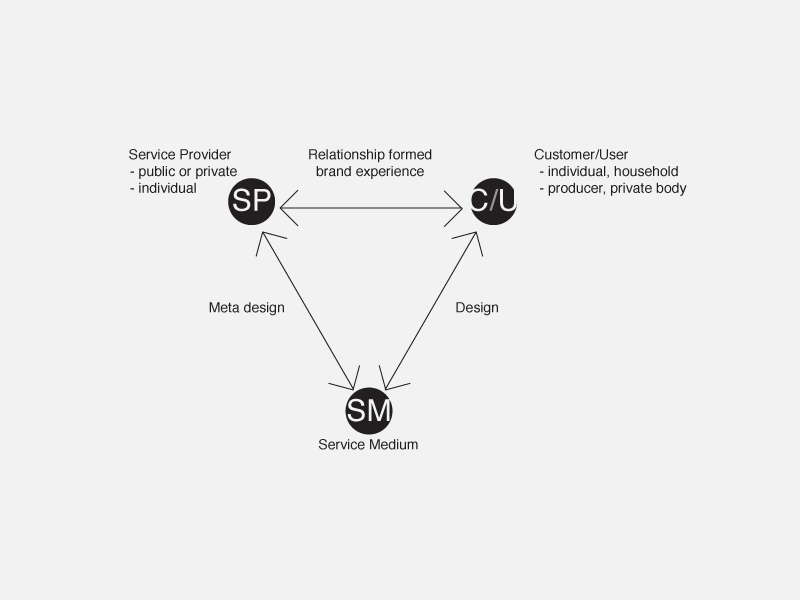 Service as designing means service itself is fundamentally a creative process. As service designers we are engaged in meta-design—designing design—and are producing resources for people to creatively engage with a service. The position explains why the metaphor of choreography that is so often used with service experience may not be a metaphor at all. The choreographer creates a plan for the dance, but the dancer also creates the dance as he brings his own point of view to performing it. What will the impact of a ‘‘service as designing’’ mindset be on the design of services such as a healthcare experience? In recent projects with the University of Pittsburgh Medical Center and the Mayo Clinic, Carnegie Mellon students have shown that a design approach and design mindset can lead to innovative solutions to serious service challenges. At a small scale it can mean simply better understanding the relationships that are created through interaction around the service. This is illustrated through the suggestion that catheterization lab team members wear ‘‘gear’’ that unifies them as a group and allows the patient and family to see them as their team. On a broader scale, the service as design mindset leads to service innovation concepts that put the patient more in control of their experience—both in proactive and in chronic primary care situations. In this case, the patients would then be provided with the resources to change their existing situations into preferred ones. We hope that more efforts to frame service as design can lead to even more innovative solutions for these and other important challenges. This is the kind of work that will change the Internet. So many of the nascent websites were terrible to use, and so many still are. Providing a service through software is a tricky thing to do…it isn’t about flash or easy ordering. It seems like you’re taking a holistic approach to determining what the optimum user experience should be….something determined by the user and the designer. I think if more companies realized their websites are NOT based on providing a service, they would spend the money to have some design engineering done to get users to enjoy the experience and perhaps spend more. And, this seems to be a process that needs to be repeated every so many years, because the experience would need to change as users change. I suppose this is part of Web 2.0 or even 3.0. There’s a new reality for all companies; they have to use the web properly as a service medium or perish. It’s that simple; there are too many choices today for it to be otherwise. Heya i am for the first time here. I came across this board and I in finding It really helpful & it helped me out a lot. I’m hoping to present one thing back and aid others such as you helped me.